Tired of being weak and scrawny? Tired of being average and not noticed? 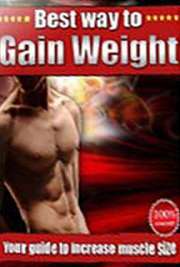 Discover the best way to gain weight by just following the step-by-step program in this CHEAP, ready-for-download eBook! 10% Off when you Share this eBook! 5% Off If you buy from my blog!